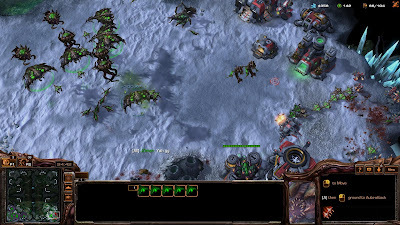 When I started this review I immediately decided to bring up the posts from the previous two games in the Starcraft II trilogy and then realised that I had done a review for Heart of the Swarm but not for Wings of Liberty, which I now regret as it’s a bit too late to write a review for it before I do this one but anyway I guess there’s not much I can do. As I’ve said previously the purchase of this trilogy was largely based on the fact that the previous games had excellent storytelling and I wanted to see more of it. 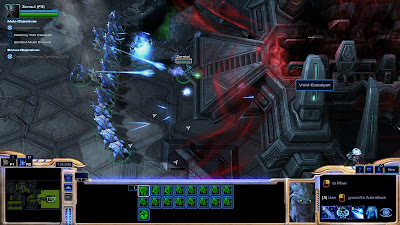 Of course yes there was the fact that I was playing Starcraft again and the graphics looked awesome but in reality I’m not too fond of RTS anymore but playing Starcraft on the easiest setting is absolutely fine, like a power-fantasy if you will. Yes there’s still the micro-managing and the dread before every level working out what it’s going to be like and wondering whether you have enough army or need those few extra soldiers or whether you have enough soldiers at the main base or whether you left the iron on and all those things that make RTS stressful. In any case, this was the big one, the last one, the one that wraps things up (at least I hoped) yes Legacy of the Void, the final part of Starcraft II where the enigmatic Protoss are the main race. 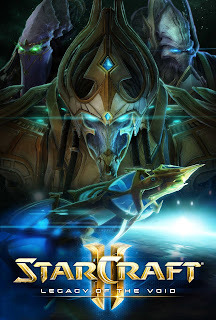 I was looking forward to this as the Protoss are my favourite race and I would usually play as them in Multiplayer though to be honest now I would most likely choose the Zerg since I now have a Zerg symbol necklace, especially if I was wearing it at the time. I often just go with whatever race is under-represented in a match though with only three races this is rarely an issue. Starcraft II kept the same process as the first game starting with the Terrans then Zerg with Protoss last. Before I started the actually Legacy of the Void expansion though there was first the Whispers of Oblivion prologue featuring Zeratul as he attempts to make sense of the scattered prophecy that spoke of the return of Amon. This is where you first encounter the Moebius Corps and the Tal'darim in this expansion and was only three missions long but was a steep learning curve as instead of easing back into the game with the normal campaigns this prologue threw you into it allowing you to build and use the whole library of units from the multiplayer whereas you would usually be very limited, but I got through it anyway. 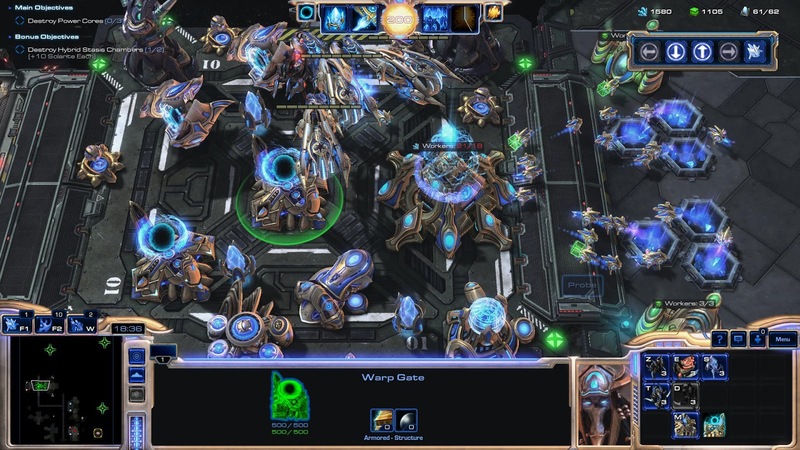 In Legacy of the Void you play as Artanis who you may remember from the Protoss campaign in StarCraft: Brood War, he has now become the Protoss Hierarch (aka leader) The story begins with a pretty impressive trailer showing the Protoss fighting the Zerg on Aiur and the first mission features you taking control of a very large force of Protoss from Artanis’ Golden Armada which was quite fun. You meet with quite a few others during the course of the campaign many of which have their own faction, most notably Karax the Phase-Smith of the Khalai, Rohana the Grand Preserver from the Spear of Adun, Vorazun daughter of Raszagal and new Matriach of the Nerazim (aka Dark Templar), Alarak of the Tal'darim, Fenix aka Talandar of the Purifiers and of course Jim Raynor. The bulk of the story is about Artanis uniting the various Protoss factions under the one banner which I now know is called the Daelaam and heed Zeratul’s advice to defeat Amon and force him back into the Void. 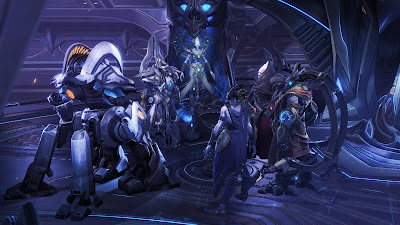 The story is quite good with tenuous alliances and pacts being made and of course I love how the Protoss talk and their politics, especially with the Terrans as Artanis and Jim’s way of speaking are different but they can still communicate fine, there was scene where Artanis was talking to Rory Swann and the exchange was pretty funny. 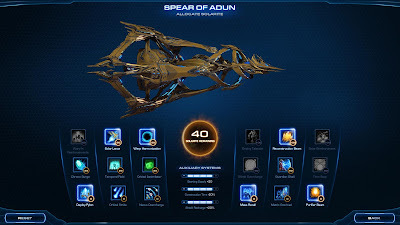 Once you had obtained the ship Spear of Adun the story became very much like the other two as the ship becomes your mobile forward operational center where you could explore the various rooms/levels much like Kerrigan’s Leviathan and Jim Raynor’s Hyperion battlecruiser. The Spear of Adun has the usual staging areas of the previous games such as a bridge and a places where you can modify and upgrade your army. Modifying your army this time around involves going to the War Council part of the ship where your units are divided into classes i.e. melee warrior, ranged warrior, robotic assault etc and as you progress you get access to more unit classes and more units in that class. For example once you are allied with the Purifiers you can start creating Sentinels, Energizers and Colossi which are damn awesome, they were so powerful and could shoot so far that I often just sent a group of them forward and then attacked with the bulk of my forces as they usually set themselves too far away from the group and the faster ground troops run in and get themselves killed. The Solar Core is where you upgrade the ship with support options and man I tell you what the ‘Deploy Pylon’ and ‘Mass Recall’ abilities were awesome allowing you to both pull your forces back to base to set a Pylon down to warp more forces out to the field, this coupled with the “Warp Harmonization” ability allowing Robotics facilities and Stargates to have warp in abilities was almost too powerful, but then again all the upgrades over the course of the singleplayer story were anyway. The Colossi go nuts and my forces also go nuts at the end of the the Templars Return mission. The missions were as varied as the last game in the series with the usual attacking/capturing points on the map, defending points on the map and hero-only quests. You also had missions where you had to do this while avoiding rampaging Zerg which weren’t aggressive but still weren’t on your side, rush to stabilize a huge space platform and get to your targets before they are destroyed by a slow moving laser. One of the more interesting missions was the Rak’shir where you had to help Al’arak in a ritual battle so that he can be the leader of the Tal’darim, I enjoyed this one as it was very different as it was a kind of reverse tug-of-war you had to crowd your units around him to support him and eventually throw his opponent off the cliff into the pit. This actually reminded me a lot of The Search for Illidan except that one was very much like a traditional tug of war. With general gameplay I had the issue again of having just too many units and not knowing what the fack each one did, I tried to have similar units for certain missions for example using mostly Dark Templar unit equivalents on Shakuras or when Nerazim were prominent and the Tal’darim units whenever it was that storyline but still there was 4 different Protoss factions and not all of them had their own version on a unit so it was a bit hard to manage, but it really didn’t matter too much. There’s not much I can talk about without spoiling the story but I did enjoy all the levels where you were just playing as the heroes, I loved this as you only needed to worry about them and not build a base and organise a whole army at the same time. I didn’t have too much trouble getting through the story as it wasn’t too hard I had done it all before. Starcraft has a pretty gentle learning curve and if you’re playing it on the easiest mode it’s not bad at all, the Protoss were fun to play as I always liked their race and story and their speech oh man some of the exchanges were great though a bit formal but then again I like formal dramatic speaking. Alarak in Vorazun in the ruins of Antioch on Aiur, this particular series of missions had you controlling only two "hero" units. The Epilogue missions were quite challenging even on the easiest game modes though they could be beaten with careful planning. 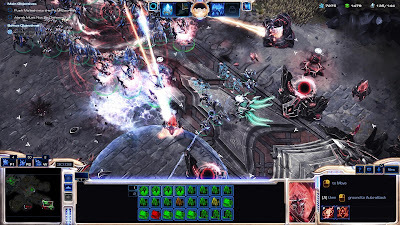 You had to play each of the three missions as a different race and going back to the Terran and Zerg races was challenging as I was not used to them at all, especially the final one where you played as the Zerg. 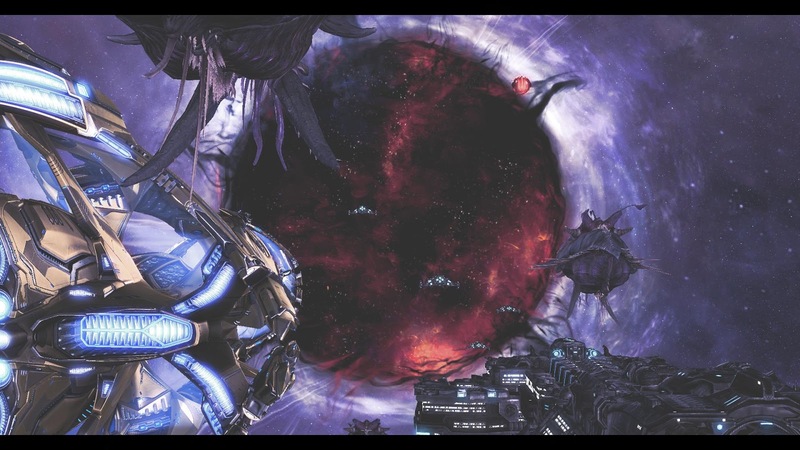 The three final missions finished off the trilogy of Starcraft 2 into an ending that was a bit too happy for the likes of myself and my brother but it finished it off nonetheless. The graphics were awesome as usual they looked great with my new 980ti graphics card and the sound and music was as good as before, there’s not much else to say about it apart from the cutscenes being as brilliant as ever, I swear between Blizzard Starcraft 2 and Bioware’s The Old Republic I’m not sure who makes the better 3d animation hah. I had had a few brief forays into the Multiplayer, only for LAN parties of course I don’t think I have ever once played online, I also haven’t played the Co-op missions and I’m not sure if I have done the Tutorial as well. I could probably skip that as I don’t need it but I could play the Co-op with my brother. Playing others is always fun, I actually had a victory against someone else which won me an SSD at Lanslide, and I’ve always enjoyed playing RTS when it doesn’t matter if you lose, same goes with all multiplayer really, in fact I really must try it more but then again it’ll be back to the building then getting killed again and again and I’d actually have to try to get better. 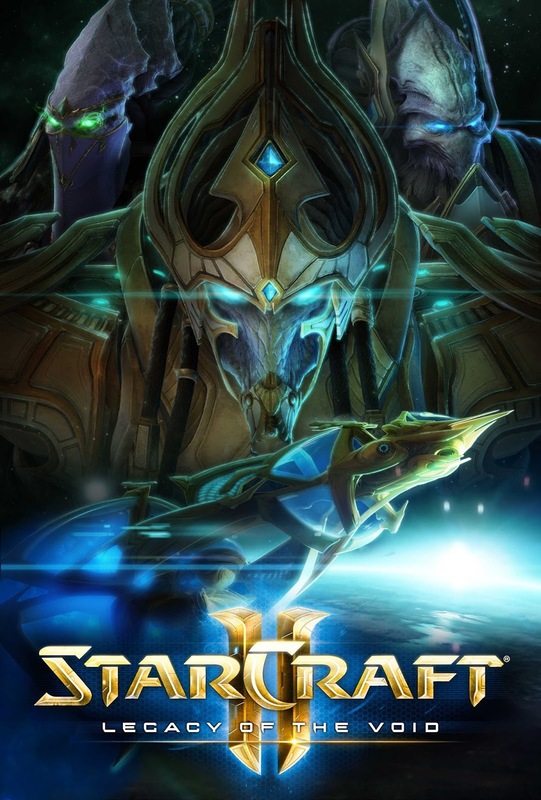 So that finishes off the Starcraft 2 Saga, I’d like to say we’ve come a long way but it’s just been sporadic bursts of play, the question is, what now? 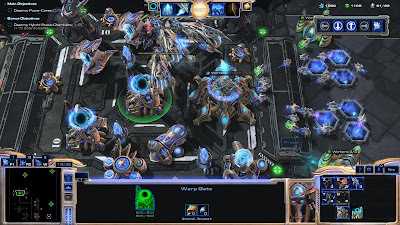 Will there even be a Starcraft 3? Will there be another Warcraft RTS at all or will we just be inundated with MOBAS? Only time will tell.